The Walter Camp Football Foundation has announced the Football Bowl Subdivision National Offensive and Defensive Players of the Week, presented by Generation UCAN, for games ending October 8. 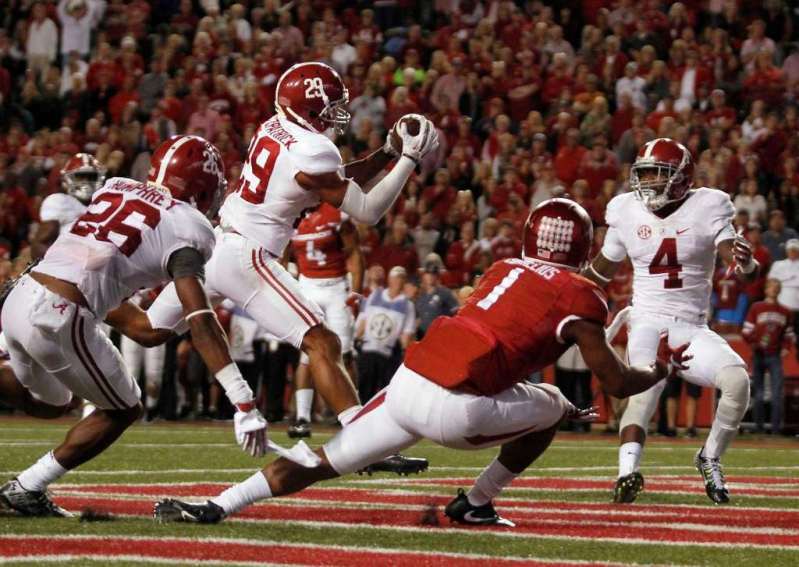 Minkah Fitzpatrick had three interceptions, including a school-record 100-yard return for a touchdown, as top-ranked Alabama defeated 16th-ranked Arkansas, 49-30. Fitzpatrick also had five tackles (4 solo) and broke up two passes in the victory.